Business is booming at Google’s parent company, Alphabet Inc., even as it loses billions of dollars on kooky-sounding projects that may never produce any revenue. Huge chunks of the losses have been piling up in Alphabet’s “X” lab, a wellspring of far-out ideas that has become known as a “moonshot factory” since Google co-founder Sergey Brin launched it about six years ago. The lab is responsible for some once-zany projects, such as Google’s self-driving cars, that matured into potentially revolutionary technology. It also has pursued but ultimately abandoned other outlandish endeavors, such as an effort to convert seawater into gasoline. Like going to the moon, exploring new technological frontiers is expensive. Although Alphabet doesn’t specify just how much money it pours into the X lab, it is among the costliest drains in a far-flung category that falls under the “Other Bets” segment in the company’s financial statement. Fiber, an effort to bring ultra-fast Internet service to major US cities, is also requiring huge investments. Alphabet’s second-quarter earnings report, released Thursday, showed an operating loss of $859 million (roughly Rs. 5,762 crores) in Other Bets, widening from a $660 million (roughly Rs. 4,427 crores) loss a year ago. It’s the second consecutive quarter in which losses have deepened. Last year, Other Bets lost $3.6 billion (roughly Rs. 24,151 crores) – exceeding the annual revenue of many companies. The Mountain View, California, company can afford to gamble because Google runs the world’s most profitable advertising network, spread across its dominant search engine, YouTube video site andGmail, as well as well millions of third-party websites that draw upon its marketing machine. 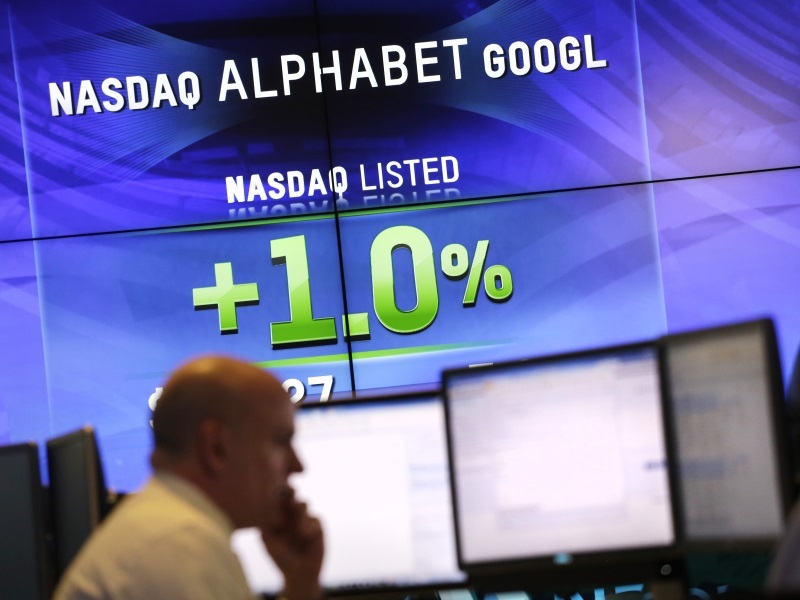 Powered by Google, Alphabet earned $4.9 billion (roughly Rs. 32,876 crores) during the April-June quarter, a 24 percent increase from the same time last year. After subtracting ad commissions, Alphabet’s revenue climbed 22 percent to $17.5 billion (roughly Rs. 1,17,714 crores). Although Alphabet CEO Larry Page has repeatedly told investors to expect big money to be wagered on Other Bets, the company has been reining in expenses since hiring Wall Street veteran Ruth Porat as its chief financial officer 14 months ago. Astro Teller, who runs the X lab, says he strives for a balance between the pursuit of envelope-pushing technology and Wall Street’s demands for some semblance of fiscal prudence. “In short, we try to steer X to be ‘responsibly irresponsible’ as we develop new products,” Teller wrote in an online essay published Thursday. The X lab understands most of its projects will fall by the wayside, but Teller doesn’t view that as a waste of time – or money. “To make progress toward any audacious idea, you have to make mistakes?_?you have to seek out frequent, messy, instructive failure that shows you what to do (or not do) next,” Teller wrote. The money that Google spent on areas that have little to do with internet search and advertising used to frustrate investors who wanted to see bigger profits. BGC Financial analyst Colin Gillis says that exasperation is fading away since Porat has made it clear that there will be limits on the spending. Since her arrival, the increases in expenses haven’t been outpacing the rate of revenue growth, as it had been. Plus, Gillis says, people are starting to realize that technology companies should be plowing some of their profits into research that could pay off in future years to avoid becoming too dependent on a single product. Apple Inc., for instance, has been hurt during the past year by its reliance on the iPhone for most of its revenue, as demand for that device has fallen. Alphabet’s stock gained $43.16, or more than 5 percent, to $809, positioning it to potentially surpass its all-time high of $810.35 in Friday’s regular trading session.